Obesity and Insurance Premiums – Can Obese People Get Life Insurance? I used to be heavier in weight when I was younger. I have since become healthier, but in the back of my mind, I always wonder if my former weight had a marked influence on my past insurance premiums. Almost all life insurance applicants must undergo a medical physical as a part of the application process. It’s how life insurance companies evaluate applicant risk. Life insurance companies evaluate how healthy their applicants are, and their probability of approval, based on medical exams. Young, healthy applicants who don’t engage in life-threatening recreational activities are more likely to live longer. Or, live a long life while paying monthly premiums. Older people are more susceptible to becoming ill, injured, disease, and experiencing a mental decline. Unhealthy and/or older applicants represent a significant financial risk to life insurance companies. “Unhealthy,” is a relative term that can signify an array of health problems. People who live sedentary lifestyles, sitting at work and home and never exercising, are applicant risks. Overweight people also represent a risk. Being overweight can cause a variety of health problems that can strike later on in life. No wonder 50% of applicants say they would be more amenable to applying for life insurance if there were no medical exam. Can obese people get life insurance? The issue at hand is how much you are willing to pay for it and the criteria for rejection. To understand why life insurance may be harder to acquire or more expensive for an obese person, we need to understand the obesity epidemic in the United States better. Over two-thirds of all Americans are obese or overweight. That means one out of every three Americans meets those standards. About 37% of Americans are obese, and another 32% are overweight. The medical expense of dealing with obesity costs about $150 billion every year. Although, that is a modest, conservative estimate. An obese person can expect to pay $1,000 to $3,000 more in annual medical expenses than a person of average weight. Obesity, sedentary lifestyles, and bad eating habits create an enormous operational strain on the heart. Blood vessels become constricted, decreasing optimal blood flow to vital organs. Obesity makes you more likely to develop an enlarged heart, diabetes, congestive heart failure, strokes, heart attacks, high blood pressure, and many more health problems. Health problems can develop over time and occur with intense severity later in life. Being obese is costly when it comes to medical expense or applying for health insurance. Life insurance actuaries continuously follow and update these statistics. That being said, the existing demographic base of obese Americans is just too massive, no pun intended at all, for insurance companies to ignore. Also, the actuary standards for denial of coverage are high. The average man is about 5’9”. So, he would have to weigh over 330 pounds to be rejected. The average woman is about 5’4”. She would have to be at least 300 pounds to be rejected. There is always another life insurance company that would accept such applicants. An obese person doesn’t need to worry about being denied coverage for obesity, barring cases of severe morbid obesity. The real issue is cost. 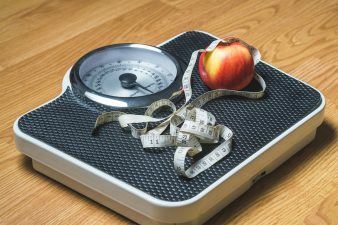 Depending on signature weight category application tiers, obese applicants can count on paying $50 to $100, or more, on their insurance premium expenses. If you are obese or overweight, you should get in shape for your personal benefit, as well as to save on medical and life insurance expenses. If not, you’ll likely pay a lot more for your insurance premiums than others. By Allen Francis|January 24th, 2019|Categories: Personal Finance Tips|Tags: Life Insurance|Comments Off on Obesity and Insurance Premiums – Can Obese People Get Life Insurance?